Even after accounting for current crack use, a new study finds that women in drug court who are experiencing current major depression are more likely to use crack within four months than other women in drug court. The paper’s lead author argues that depression screening and treatment may be important components of drug court services for crack-using women. PROVIDENCE, R.I. [Brown University] — Women who are clinically depressed at the time they enter drug court have a substantially higher risk of using crack cocaine within four months, according to a new study. Because current but not past depression was associated with a higher risk of use, the study published in the journal Addiction suggests that addressing depression could reduce the number of women who fail to beat crack addiction in drug court. Addiction and depression are closely associated, said Johnson, who is also affiliated with Brown’s Center for Alcohol and Addiction Studies. It isn’t always clear how the two affect each other, especially at an urgent moment such as entry into the court system. Johnson set out to untangle the two by analyzing data gathered by researchers at Washington University in St. Louis as part of an HIV prevention study. Among the 261 women in the study, 16 percent had a current major depressive episode and 40 percent had experienced a major depressive episode in their lifetime. 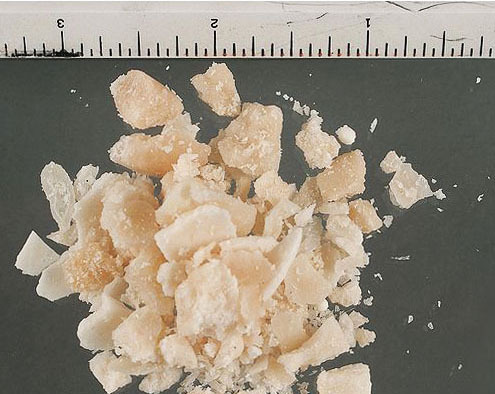 Among the women currently depressed, 46 percent used crack during the next four months. Among women who weren’t currently depressed, only 25 percent used crack in the next four months. At the beginning of the study, the analysis statistically adjusted for whether women were using crack, which is highly addictive, and took the timing of the women’s depression into account, said Johnson, who is also affiliated with the Center for Prisoner Health and Human Rights, a collaboration of Brown University and The Miriam Hospital. Women who had been depressed at some time in the past, even in the last year, did not have an increased risk of crack use compared to women who had never been depressed, Johnson found. Women who were currently depressed, however, were significantly more likely to use crack than women who were never depressed. Furthermore, currently depressed women had nearly four times the odds of using crack during follow-up compared to women who had been depressed at some point in their past. The odds were nearly six times greater compared to women who were depressed within the last year, but not currently. The data hint that depression may have contributed to crack use in this population, Johnson said. If women in drug court can be successfully screened and treated for depression, Johnson said, the resulting reduction in crack use predicted by the analysis might benefit not only the women but also the community. In addition to Johnson, the paper’s other authors are Linda B. Cottler, Catina O’Leary, Catherine W. Striley, Arbi Ben Abdallah, and Susan Bradford, all of Washington University. Cottler’s grant from the National Institute of Nursing Research funded the original HIV-prevention study for which the data was acquired. Johnson’s analysis of addiction and depression was supported by a grant from the National Institute on Drug Abuse.